Featuring DuoWeave fabric the Vango Titan 2 Oversized Chair has been designed for anyone looking for extra space and strength in their furniture while outdoors – whether that is in the campsite or in the garden. Constructed with a strong steel frame and boasting a wider than regular seating area, allowing it to hold up to 180kg (over 28st! ), making it one of the strongest and long lasting chairs on the market. Its wraparound design means draughts are limited and the padded seat and backrest adds that extra layer of comfort and luxury. 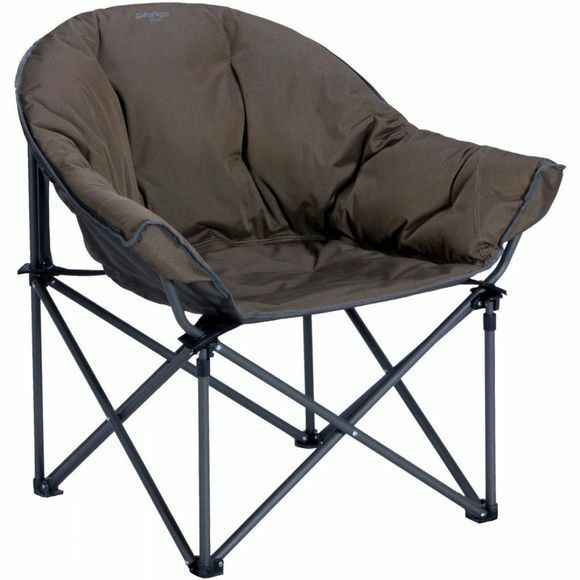 The Titan is the ultimate in reliable camping furniture.